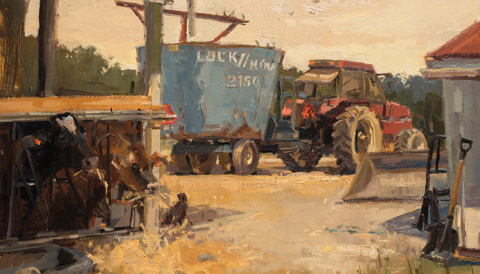 Sign up for our newsletter, and you'll receive a free digital special report about collecting landscape paintings. 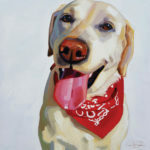 Cristall Harper exudes enthusiasm and confidence, as well as gratitude for a life that checks all the boxes she could want: painting full time, exploring an exciting style, and focusing on subject matter she loves—flowers, the sea, and especially dogs. 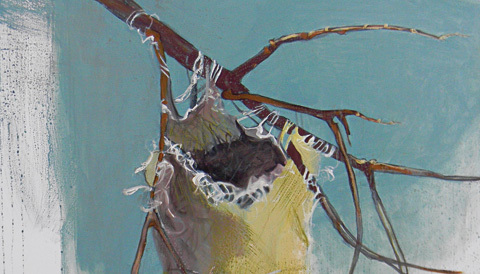 The symbolic nature of nests—at once sheltering, nurturing, and creative—inspired some 30 mixed-media images that make up Peggy McGivern's latest solo show, opening this month at Saks Galleries in Denver. 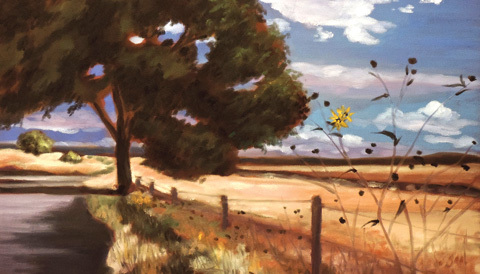 Travel inspires Texas artist Suzie Baker, and the artist’s calendar is packed throughout the year with plein-air events in locations stretching across the country. 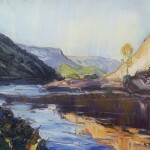 Baker is well known as a talented artist, both in the studio and on location. 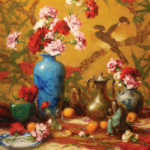 The 28th annual Oil Painters of American exhibition takes place from May 10 through June 7 in St. George, UT, at Illume Gallery of Fine Art and its two sister venues, Authentique Gallery and The Mission Gallery. 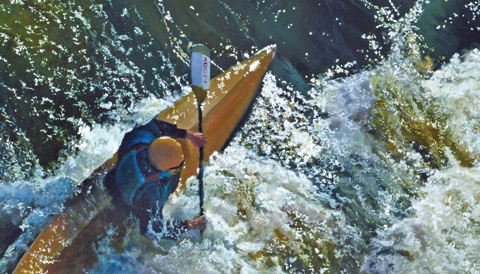 Sheri Farabaugh portrays water with sublime sensitivity and immediacy, producing paintings that are sometimes realistic, sometimes closer to impressionism, but always engagingly composed and impeccably rendered. 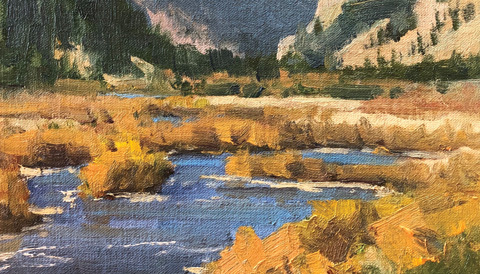 Phippen Museum’s three-day Western Art Show & Sale returns to Prescott's Courthouse Plaza on Saturday, May 25, when some of the country’s finest western painters and sculptors display a rich assortment of subject matter and mediums. 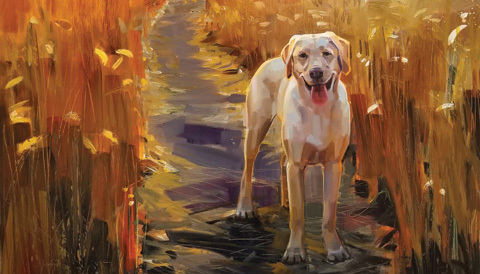 Meet five artists who work on paper—in watercolor, pastel, and more. 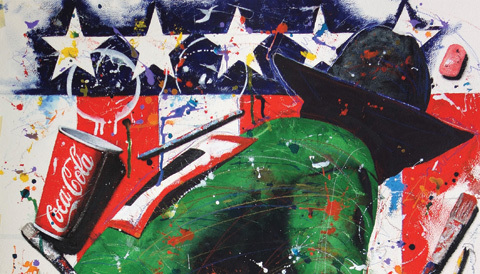 The Beatles, billboards, and bubblegum wrappers: These are a few of Chuck Middlekauff’s favorite things, which he captures in bold colors and designs that lure viewers into a cheerful world of yesteryear. 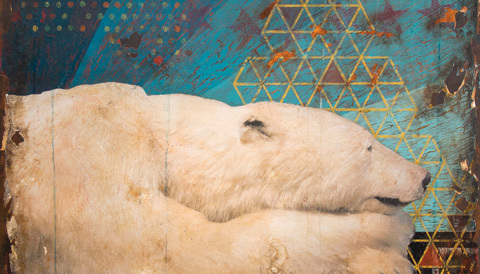 In his vibrant portrayals of wildlife and domesticated animals, Mike Weber is not only mixing materials and creative processes; he's also mixing imagery and associations from the pop-art world and the natural world. 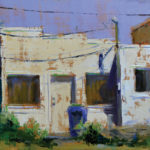 This month we're giving away a small painting by August issue featured artist Robert Reynolds. Click "Enter Sweepstakes" below to enter the sweepstakes, and you might be the lucky winner. Be sure to enter by August 15th! In the month or so since our March/April issue went to press, there has been a veritable parade of major events in the western art world. Here are just a few of the newsworthy highlights from some of these top shows. 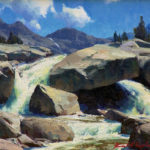 Kimball Geisler's paintings give viewers front-row seats to formidable scenes of chiseled alpine peaks, massive boulders, meandering riverbanks, and other back-country scenery throughout the West. 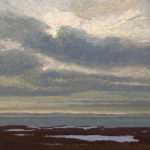 Enter Today for a chance to win a unique piece by this month's Featured Artist! 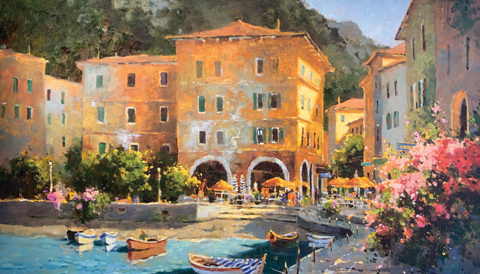 Get the 2015 issues of Watercolor Artist and have a year's worth of awe-inspiring watercolor painting and watercolor techniques. 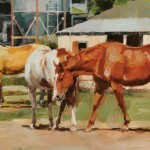 Subscribe and receive 1 year (12 issues) of Southwest Art – The Fine Art of Today's West delivered to your home. Custom websites just for artists! Save on subscriptions to your favorite magazines! Ask us how to place your ad here!